TRACE32® JTAG Debugger for ARM, PowerPC, TriCore, 68K, HC12, SH4, XSCALE, etc. Support for over 80 microprocessor architectures, e.g. ARM, Cortex, Power Architecture, Intel x86/x64, etc. Thanks to the modularity concept of Lauterbach, the tools are designed around base modules which are universal and architecture-independent. 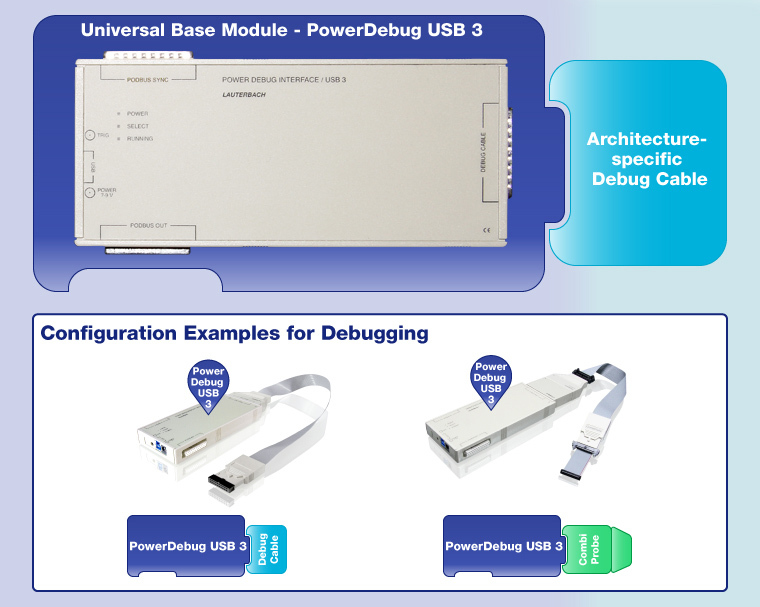 PowerDebug USB 3 as a debug module will then be connected to the target via architecture-specific debug cables or CombiProbe, which support over 80 microprocessor architectures in use in the embedded-market. CombiProbe is used mainly for Intel® x86 architecture. 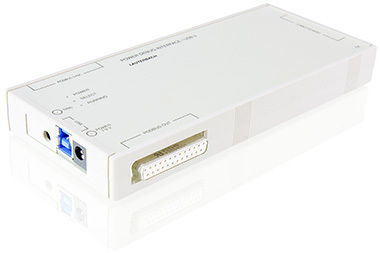 PowerDebug USB 3 is a standalone module without trace extension, if trace is required or faster upload and download speed is preferred, please visit PowerDebug PRO. The following picture shows the extensions of PowerDebug USB 3 and configuration examples. Protocol Support for CAN, USB, etc.